1. A red giant is formed. This is the case when that mass is rather small, as for example our sun. When the hydrogen in the central parts of the star is burnt they will collapse under the gravitational pressure. At the same time the outer parts will expand and form a thin atmosphere around the rest of the star. The atmosphere that one expects around our sun will reach all the way out to the orbit of Jupiter. The inner planets will therefore be burnt. However, there is no need to worry about this now, since it will not happen within the overseeable future. 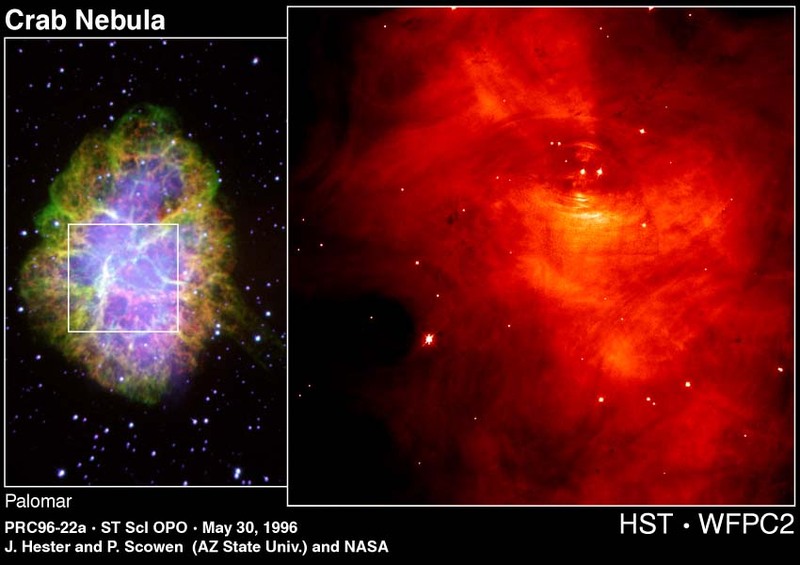 The helium in the nucleus will be burnt to carbon and at the same time the atmosphere will form a nebula. Finally the nucleus is cooled down and forms a white dwarf. 2. The alternative development is that the fusion processes that burn lighter elements continue. This can only happen in stars which are at least ten times heavier than the sun. In these stars heavier elements such as oxygen, neon, silicon, sulphur and finally iron are formed. Since iron cannot be converted into another substance and at the same time give energy the production of heat in the star will cease. As a consequence the radiation pressure can no longer balance the gravitational pressure which in turn leads to a collapse of the nucleus, giving rise to a density that is almost as high as in atomic nuclei. 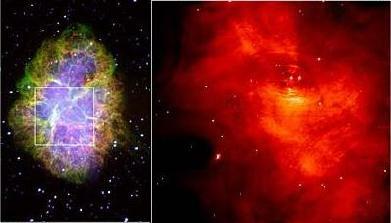 The material that continues to fall into the centre will then bounce off, and the star explodes in a supernova.